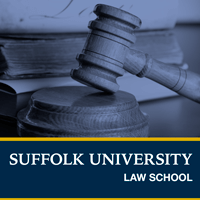 Professor Michael Rustad, the Co-Director of Suffolk Law’s IP concentration, discusses Suffolk graduates practicing Patent Law in top Boston law firms. Access the study. Learn more about our nationally-ranked IP concentration. Professor Michael Rustad, the Co-Director of Suffolk Law’s IP concentration, discusses Suffolk graduates practicing Patent Law in top Boston law firms. Access the study. Learn more about our nationally-ranked IP concentration.